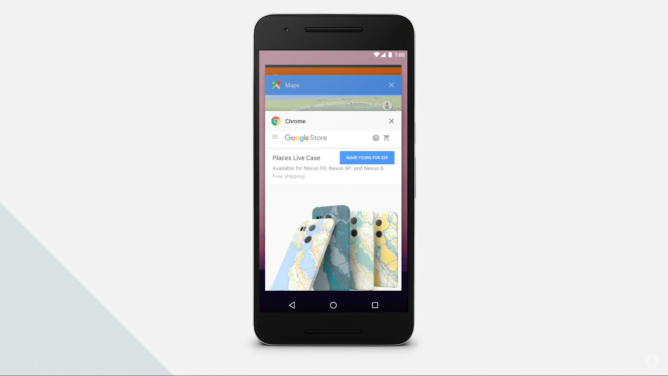 While maybe not the biggest change in Android N, Google announced a few interface changes to app switching that were particularly well-received during the I/O keynote. A couple of them had already popped up in the Developer Previews, but the keynote serves as confirmation that they will make it to the final builds. A change that is new to all of us is that there will be a reduction in the number of apps shown in the recent apps UI. Anything that hasn't been used "in a while" will be hidden from the user. This, Google says, is because their user research showed that over 99% of users never accessed an app further back than 7 in the recent apps UI. The hope is that minimizing the choices will make it easier to navigate through the ones that are there. I think that makes good sense. We've been testing with today's N release and the exact method isn't clear. After not using the phone for a while, it seems to settle on 7 apps. After opening up several in a short time, there are more than 7 in the list. It seems to be the case that after some amount of inactivity in any given app, it is then removed from the list. The exact time isn't clear just yet, though. Further, there will now be a "Clear All" button at the top right of the screen at the end of the list. We've seen the button in N Preview 2, but it does find a new position on the right-hand side and this seems to confirm it will be here to stay. Another neat trick is a shortcut to switch between your most recent two apps. 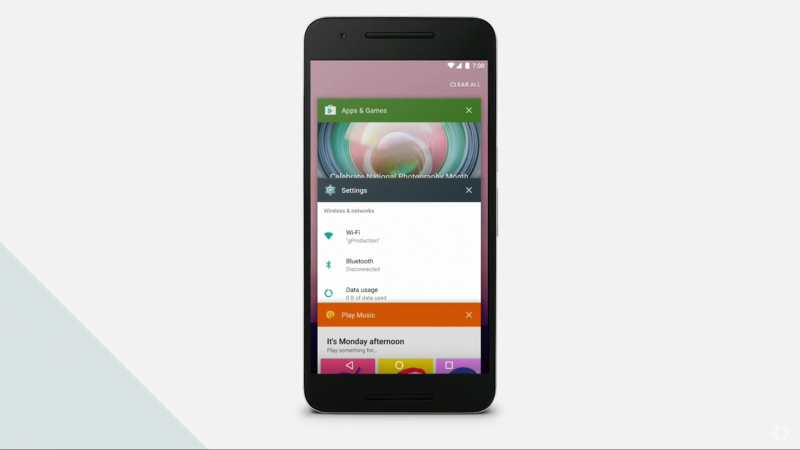 In Android N, you can just double-tap the recent apps button in the navigation bar to be quickly switched to your most recent app. Do it again and you go back to your previous one. We first saw this in an expanded form in Preview 1 and in the two-app format as in the keynote in Preview 2.